Shaggy Marlin has finally arrived!!! The long time coming, most anticipated, hot spot on the beach is NOW OPEN!! 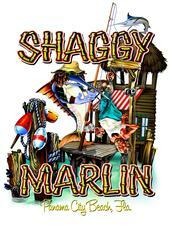 Shaggy Marlin is open 7 days a week year round!!! They are serving up the coldest drinks and the best food on the beach! This is like no place you have ever been. Come and see for yourself!! They have live entertainment Thursday thru Saturday, so come on in for dinner and stay late and dance the night away!! Feel like a dozen raw Apalachicola oysters and an ice cold brew?? Come sit outside at our Oyster bar and kickback with the fellas. When you do come in, you can't leave without trying Shaggy's signature crab and corn chowder!! Everything about this place is rad!! This is the the new hangout on the beach.